Why do you get up before the sun to pound the pavement? Why do you push yourself to the brink of exhaustion? Why do you spend hours training in the wind, heat, snow and rain just to prepare for a race? 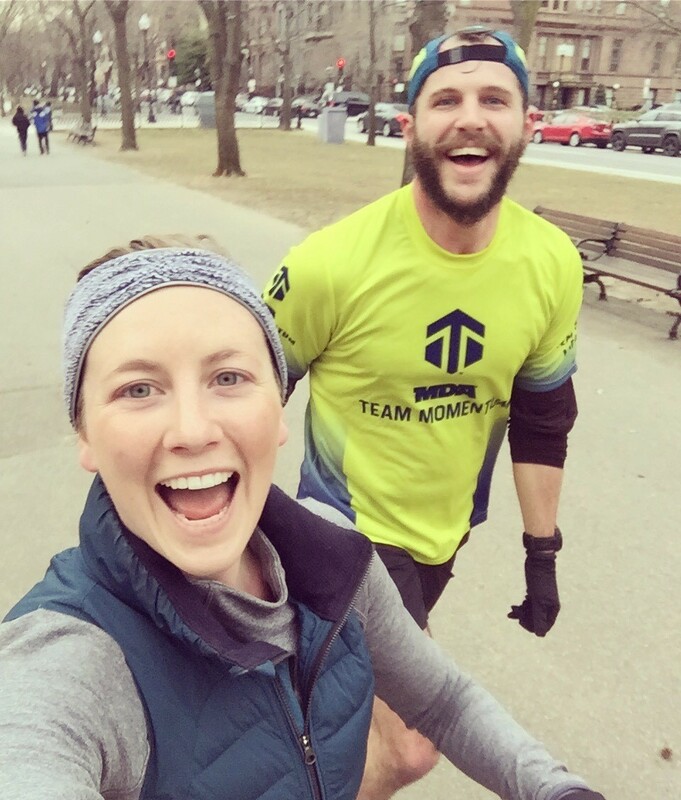 While you’ll find varying answers, these Team Momentum athletes share why they run, and their responses just might motivate you to lace up your sneakers and hit the track too. When Michelle Murphy, an avid runner, was diagnosed with myotonic muscular dystrophy, she was shocked to say the least. After her diagnosis, Michelle became discouraged when she realized how little people knew about the disease. “Ever since I was diagnosed I had wanted to do something about it and raise awareness because it frustrated me that so many people haven’t even heard of it,” says Michelle. Since then Michelle has completed the Chicago Marathon and raised more than $4,000 for MDA families, while raising crucial awareness in the process. Colin Batty, whose family has been significantly impacted by Charcot-Marie-Tooth (CMT), has over 40 reasons to run. Colin’s mother comes from a family of 15 kids, all of whom have varying forms of the disease. In total, Colin has more than 40 family members impacted by CMT, a disease with few known treatments and no cure. Colin knew he had to take action in the fight against CMT for his family, and that’s when he joined Team Momentum. 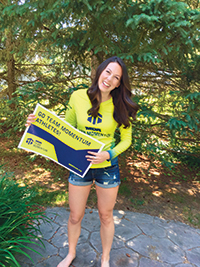 “I learned Team Momentum was granted four bibs for the Boston Marathon, so I applied in the hopes of getting one of those bibs. I knew the odds were slim, but I had to give it my best shot,” says Colin. To his delight and surprise, Colin got one of the elite Boston bibs for the upcoming race and has already surpassed his fundraising goal of $12,000 — money that will be put to good use to find a cure for CMT and all neuromuscular diseases. MDA Chicago executive director Sarah Coleman runs in memory of her late father, Bob Madden, who passed away from ALS in 2007. Aside from dedicating her career to finding treatments and cures for ALS , muscular dystrophy, and related life-threatening diseases, Sarah also joined Team Momentum as a member of “Miles for Madden” in honor of her dad and others who are currently fighting neuromuscular diseases. 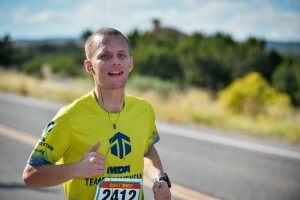 “During training, I dedicated my miles each week to a different person I’ve met through MDA fighting muscle disease. It was one of the most challenging and rewarding experiences I’ve ever had. In the end our team raised more than $16,000 ” shares Sarah. This year Sarah will be running the Chicago Spring Half Marathon. Andrew Hussey runs for his brother Brandon, who lives with mitochondrial myopathy. Andrew has been a force of nature since joining Team Momentum, at times having run upwards of 80 miles a week and raising thousands of dollars for MDA in the process, keeping his brother in mind the entire time. Up next on Andrew’s roster is the upcoming Colfax Marathon in Denver. Bryant Donnowitz proves that sometimes all you need to make a difference is the desire to help others. When Bryant first got involved with MDA, he didn’t have a direct connection to neuromuscular diseases. 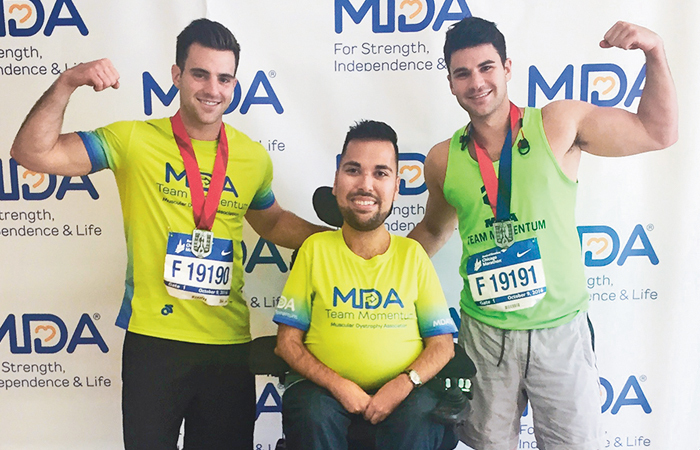 He was interested in helping MDA’s cause, but he didn’t know where to start, so he contacted his friend, April Tunnicliff, who is now MDA Team Momentum’s senior national endurance manager. “I reached out to April, and she told me about MDA and Team Momentum. She was very encouraging, so I got involved, and I’ve been doing the Chicago Marathon for four years now,” says Bryant. 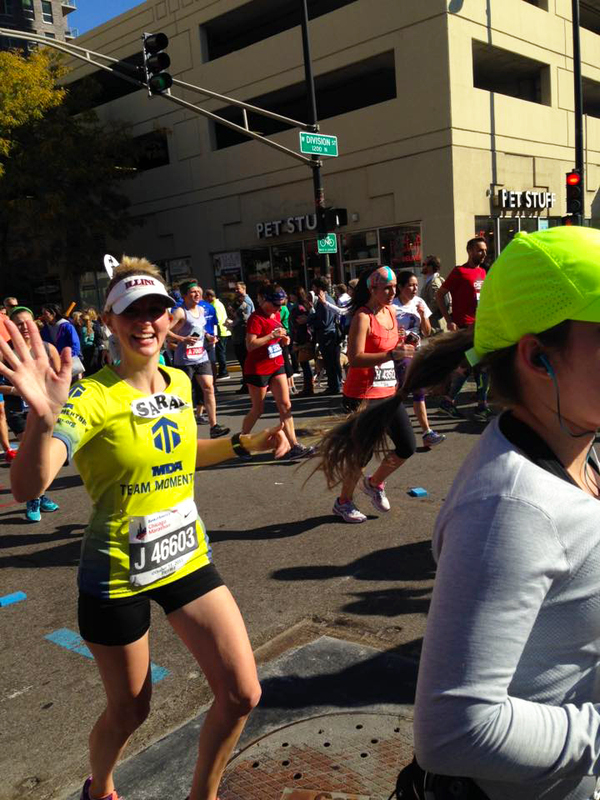 Though running a marathon can present its own set of hurdles, Bryant shares it’s all worth it.